Cody grew up in Orange County. He attended Enders Elementary School in Garden Grove and played football, basketball and baseball (his favorite) in Los Alamitos. He also enjoyed riding his Kawasakii 110. His older sister is Mackenzie and his younger sister is Kristen. 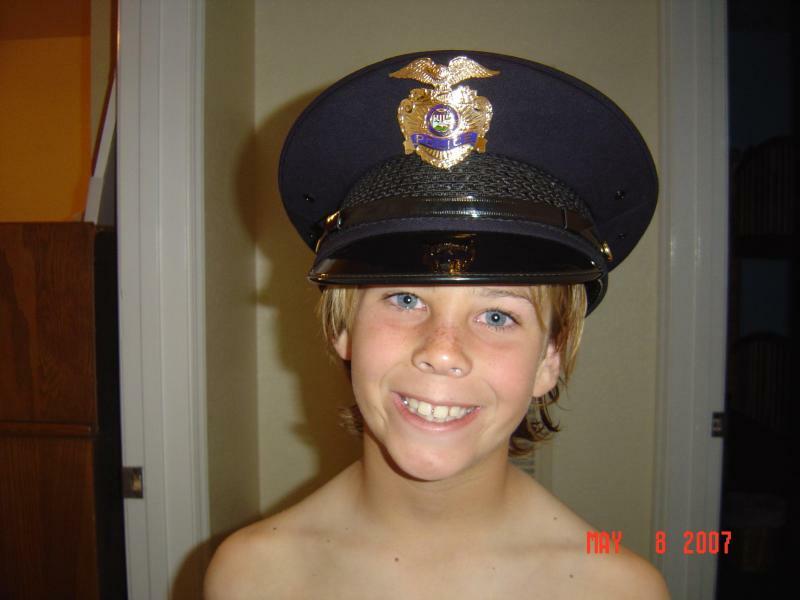 Both Cody's parents are in law Enforcement. 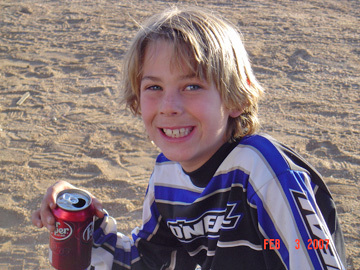 On Easter weekend in 2008, while on a riding trip to California City, Cody became ill with flu like symptoms. After we arrived home he got worse and had to be taken by ambulance to UCI medical center. That night we discovered that Cody had a brain tumor. That also began the hardest and most painful year that a family can go through. Eventually Cody went through five brain surgeries, radiation, chemotherapy and a tumor in his spinal cord, which made it impossible for him to walk. He never gave up hope, he never lost his smile, he fought hard to get better and he remained positive every day. On March 14, 2009, Cody lost his fight against cancer. He left us at a young age, but he was an inspiration to us. He showed us how to be positive and remain strong when the future looks dark. "I've learned there are other kids out there fighting cancer like me. I'm not the only one."